MOSCOW, July 17. /ITAR-TASS/. Ukraine’s armed forces dispatched the Buk anti-aircraft missile system battalion to the area of the city of Donetsk on Wednesday, a well-informed source said referring to the data recording system. Another battalion of the same weapons is said to be in the process of embarkation in the city of Kharkiv, northwest of Donetsk, the source said adding that the aircraft at an altitude of over 10,000 meters could be shot down only with the weapons of the S-300 or Buk (Beech) missile systems. In the meantime, militias of the self-proclaimed republics of Donetsk and Luhansk have said they do not possess armament systems of this class. 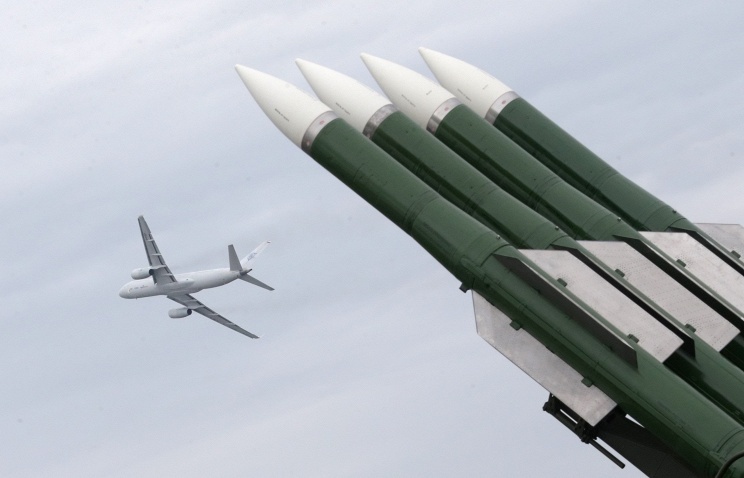 Militias of the self-proclaimed republics in Ukraine’s east are not armed with the Buk anti-aircraft missile systems, the press service of the self-proclaimed Luhansk People’s Republic said in comments on the Ukrainian authorities’ statements about a possible involvement of the Donetsk and Luhansk militias to the downing of the Malaysian plane. ← Report: Was Putin’s plane the real Target that brought down Malaysian Airliner?